Avon Tyres has been manufacturing tyres for over 100 years at its factory in Melksham, Wiltshire. All Avon products are designed, developed and tested here in the UK. Over the years, Avon tyres have kept racers ahead of the field in everything from grassroots series right up to Formula 1, Le Mans 24-Hour endurance racing, GT championships, hillclimb, rallycross and even ice racing. Today, Avon tyres are active in over 150 motorsport championships around the world and the knowhow used in our race tyres is transferred across to our range of road tyres. Avon tyres are supplied to other British marques such as Caterham and Morgan for cars and Triumph and Royal Enfield for motorcycle. 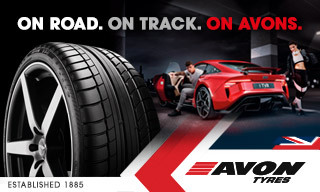 Avon ZZ5 - Avon ZZ5 - an ultra-high performance tyre for driving enthusiasts and high end sports cars. “A” rated for wet grip thanks to its silica tread compound, the ZZ5 also delivers crisp, predictable handling. Avon ZT5 - Avon ZT5 – a modern pattern with a wide range of fitments for family cars. The ZT5 has been designed to offer good steering response and quiet running. Avon ZV7 - A high performance tyre combining safety and performance with its “A” rating for wet grip. The ZV7 benefits from large circumferential grooves to clear water quickly and help reduce aquaplaning. Avon ZX7 - An ultra-high performance tyre for SUVs delivering “A” grade wet grip. The ZX7’s unique asymmetric tread pattern aids wet grip and resists aquaplaning and is designed to be stable under load, improving both handling and mileage.